Awake & Moving: Triangular Prayers. One more time for San Antonio, 5,000+ strong! 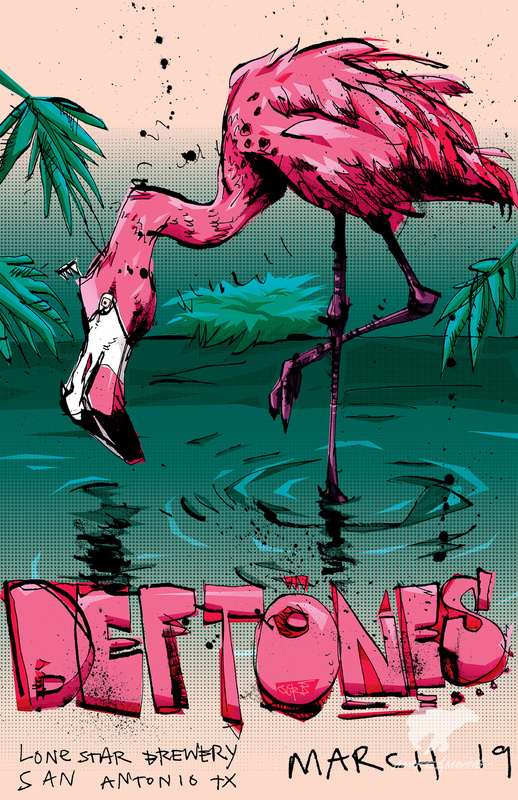 What can you say about Deftones that hasn't already been said by millions of others worldwide? 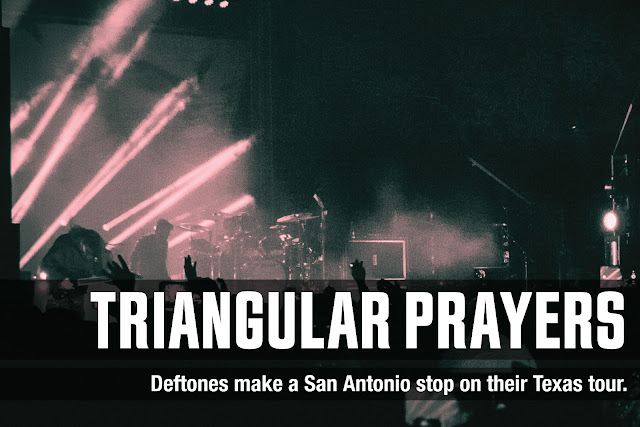 Deftones descended upon San Antonio this weekend and, as usual, they brought the heat on an unusually cold evening. It's no surprise to people in this city--San Antonio LOVES Deftones and this was a prime example. 5,000 tickets sold in roughly two hours. Woah. 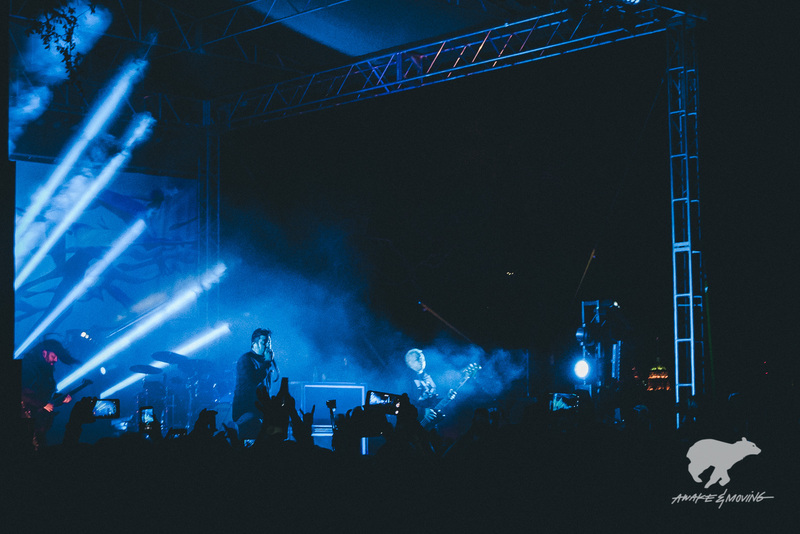 The newly re-appropriated Lone Star Brewery-turned-venue was hosting the show and with all the potential this place has, they simply weren't ready for Deftones. Was it a problem? Of course not. IT'S DEFTONES. So who cares about the issues. Honestly, I thought it was super awesome to see this amazing band and look just to the right of the stage and see the city lighted skyline peeking through the darkness. Dope. Deftones and the Tower Life Building peeking through the stage setup. Unfortunately, I could not secure a photo pass from any channel I opened. What a drag, I know. But the tickets were paid for so I'm going dammit! And I was able to take a couple shots using a borrowed pocket Leica. If you've ever shot a Deftones show from the crowd before (and I have), then you know how incredibly difficult it is. It's also kinda fun. Deftones played damn near all their greats and hit almost every record. Opening with "Rocket Skates", the band went from Diamond Eyes to White Pony into Around The Fur and tracks from their forthcoming Gore. 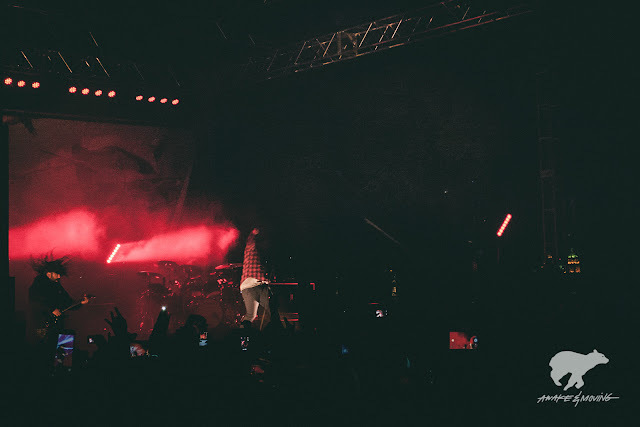 Koi No Yokan made an appearance with the band ultimately ending in "Hexagram" (a personal favorite) and some Adrenaline. Did I mention this show was DOPE? Every record holds a different point of time and it was a great feeling to transpose into moments of my own life and memories as they shifted from each record. Concert poster created by yours truly. Prior to this show, I created a concert poster to satisfy my own creative urges once I got wind of this show. You can read more about the process here and pick up a print of your own here. It's always a great show to hear "Root" and "Engine No. 9". Although I wasn't able to capture many shots, I was able to see a great show in a wonderful city one more time and for that I am super grateful. I love catching Deftones and it's always extra special to see them in my hometown, a city that truly loves this band. Through sheer grit and longevity, Deftones continues to inspire me as an artist to always stay true to my own "sound". I push this brand to be a household name across the world and to ensure it has as much integrity as these guys. It's still early for Awake & Moving and we have a lot of ground to cover. I'm glad your still with me. ...paint the streets in whiiiite!